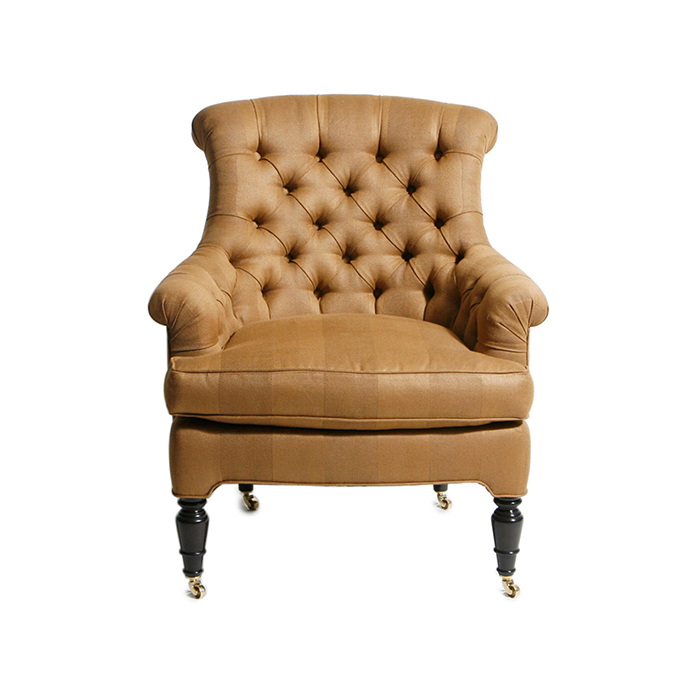 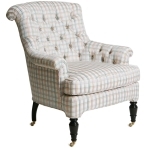 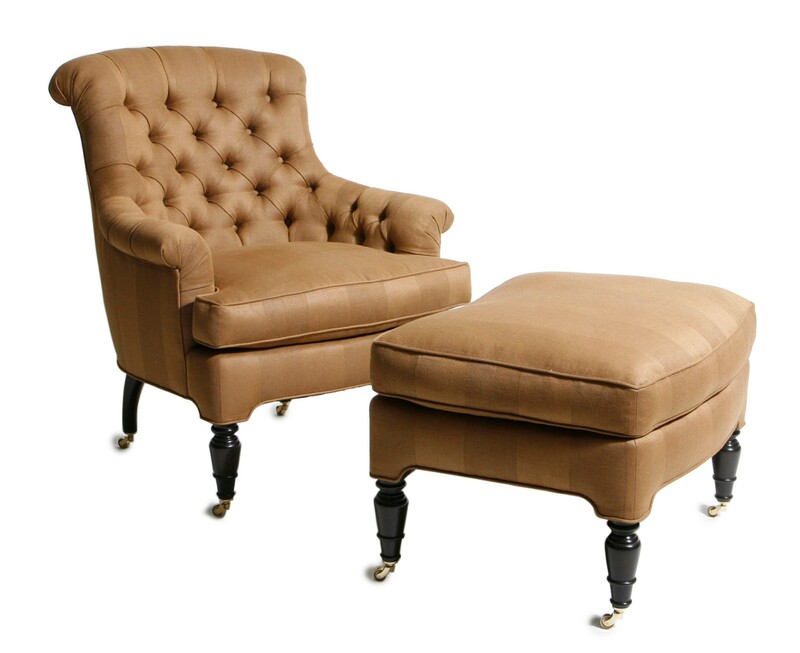 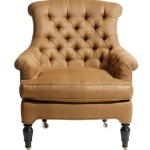 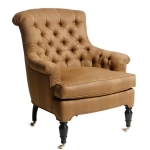 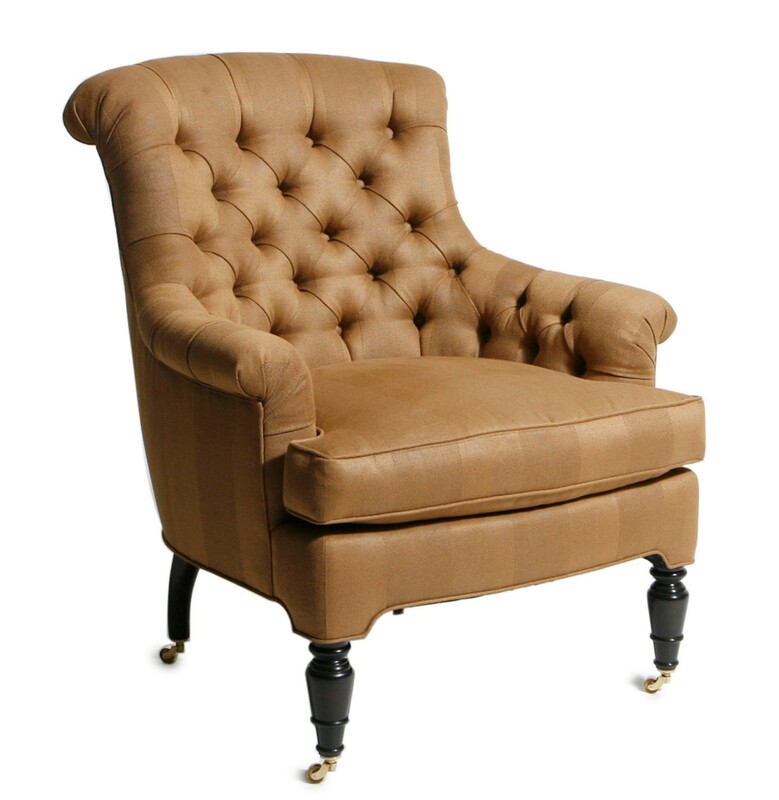 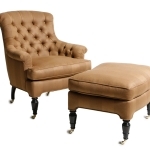 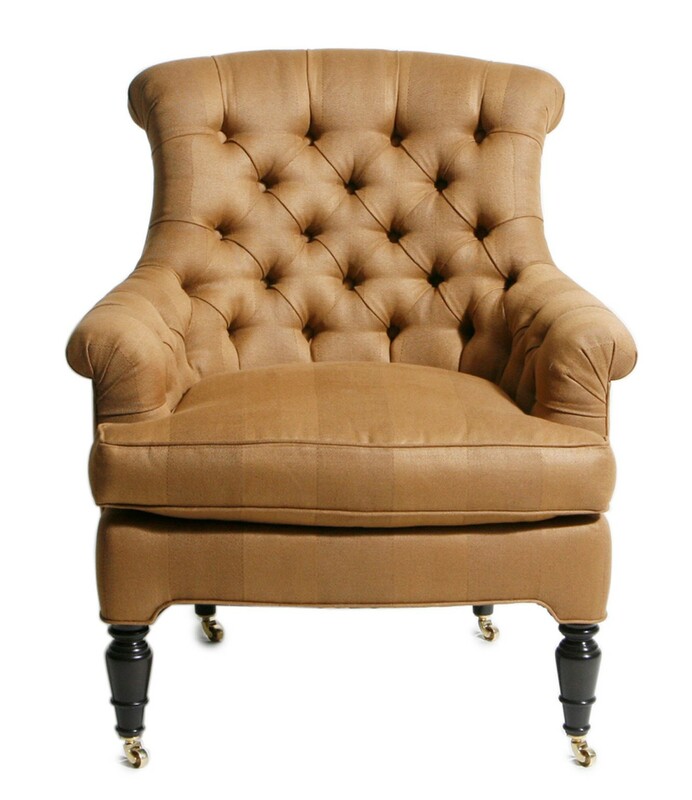 Tufted armchair, shown in tobacco stripe. Also, shown in pastel plaid upholstery. 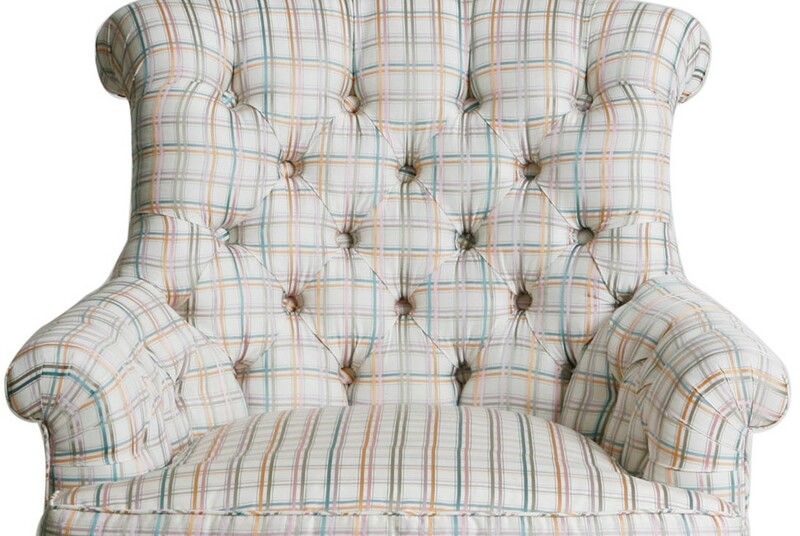 Features semi-attached, down-wrapped cushions. 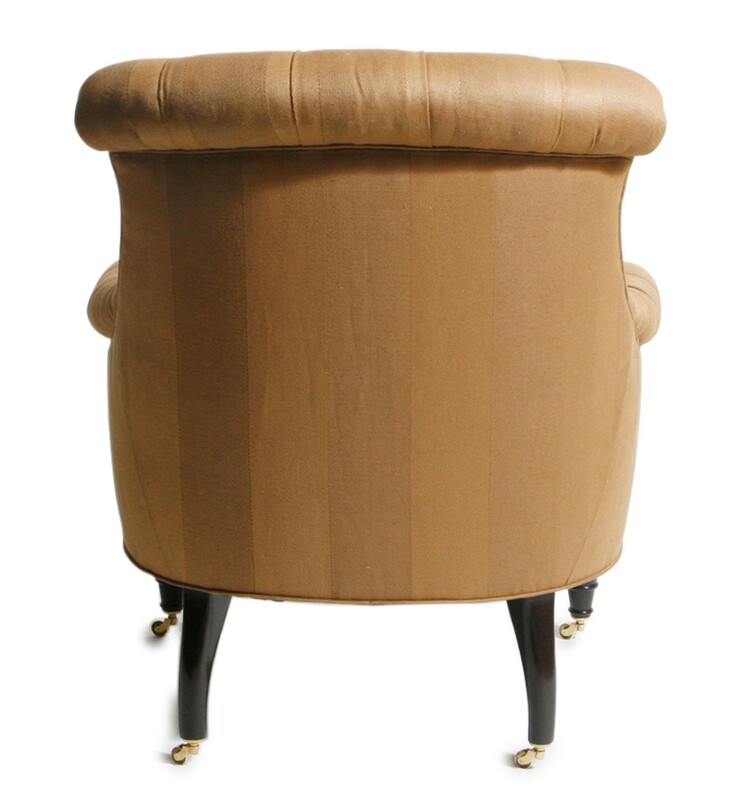 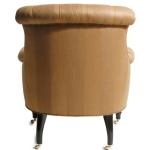 Details include turned legs with brass castors and matching ottoman. 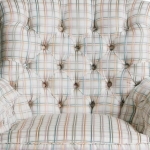 Fabric Requirement: 8 yds COM, 176 sqft COL.